Make your metal building look like new and energy effiecient too! 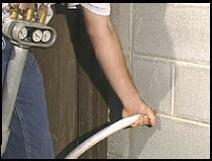 Check with your utility company, many offer substantial free money for upgrading you insulation! If you Liked This Site, Please +1 us for Google Searches! MER Enterprises, LLC dba/Leed Insualtion is a privately held company and is not an affiliate of the U.S. Green Building Council.